When I was much younger, I was ridiculed and made fun of, a lot. I was called skinny, ashy, ugly, nappy-headed, black (in a derogatory way), you name it. From elementary until about 8th grade, life at school was horrendous. I didn’t have many friends and would often be alone. I was also extremely sensitive. Because I had been made fun of, I decided that I better develop a personality & learn how to be a good friend. I became decidedly hilarious and worked hard at what little friendships I did have, because I hated the feeling of being an outcast and talked about so negatively. What I gave out truly came back 100 fold! Even today I still cringe when someone talks cruelly about another person. We all know that people cannot help their looks, basic body shape, skin color, or height and yet we still crack jokes in the spirit of camaraderie and fun banter. I too am guilty of this at times, but I always feel a tinge of regret when I partake in the madness. Simply due to the fact that I remember how it felt to be made fun of for the very things I could not help. One of the things I have learned is that there is beauty in every person. If we spent just a little more time looking at what is lovely and good instead of what’s unattractive (to you), we will find ourselves much more joyful Make it a point to find the beauty in everything and everyone because it is there, and everyone enjoys a genuine compliment. 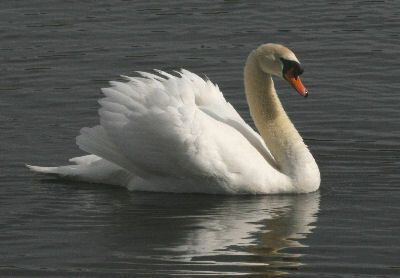 Luckily for me and the masses, I have transformed from an ugly duckling into a swan. Not only am I beautiful, but I am also full of personality, in possession of a golden heart & other great characteristics. And no, I am not in the least bit ashamed to say it, since my self-esteem was once completely non-existent. I have learned to look in the mirror and celebrate what I see, flaws and all… And I find that just beautiful. This entry was posted on December 4, 2013 by Toiah in Everything you want.